‘I Don’t Want To Know’ is the second in a collection of brand new material from BBC Sound of 2018 winner and the most exceptional breakout star of the year, Sigrid. The beautifully poignant track follows the unadulterated ‘Raw’, which was accompanied by a hybrid live video directed by Ivana Bobic (Strangers), portraying the incredible power of the 21-year-old’s A Capella vocal. ‘I Don’t Want To Know’ now premieres as Zane Lowe’s World Record on Beats, “It’s exciting for me to release I Don’t Want To Know as it shows another side of my music. Jamie Hartman and I wrote this song reflecting on growing up, drawing inspiration from what we believe many young people experience,” says Sigrid. Earlier this week Sigrid sold-out her Somerset House headline on 11 July within minutes, the first to sell out in the Summer Series, which includes Jorja Smith, De La Soul and MGMT. The last few months have been remarkable for the Norwegian pop sensation, having stormed a sold-out Shepherds Bush Empire and a knock-out UK tour, to moving Helen Mirren on the Graham Norton Show, and reaching the top 10 in the UK charts with A-list single ‘Strangers’. 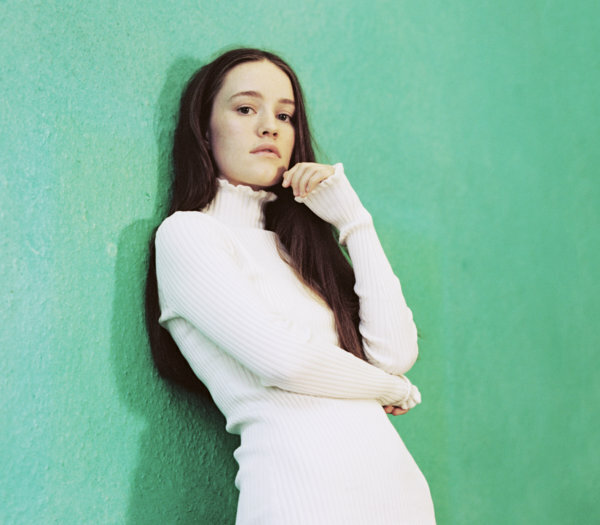 Sigrid now has a global reach of 185M streams and 2M sales with the mood-defining Don’t Kill My Vibe EP and brutally honest ‘Strangers’. The pop star has won over fans in every territory with her incredible live performance, defiant pop songs and non-conformist attitude to femininity. From the tiny town of Ålesund in Norway, which sits at the entrance of a UNESCO-protected fjord surrounded by sea and mountains, Sigrid has been creating a world which emboldens her followers, displaying outstanding song writing ability with hard-hitting and empowering words, laced over unexpected and daring melodies. Sigrid was chosen by 170 influential music experts to win the BBC Sound of 2018, the first non-American or non-British winner in the poll’s 16-year history (previous winners including Adele and Florence and the Machine). With 5.2M monthly Spotify listeners, Sigrid burst into the public consciousness in February 2017, with the “song of the summer” Don’t Kill My Vibe (The Times & The Telegraph), which caught the attention of Lorde and Elton John and captured the imagination of a generation. Performing on Later with Jools, The Late Late Show with James Corden, Glastonbury, and selling out two London Scalas, it was Sigrid’s Nobel Peace Prize performance in front of representatives from the 2017 laureate, the International Campaign to Abolish Nuclear Weapons, and an 85-year-old survivor of Hiroshima that was “So, so much bigger than a career thing,” Sigrid told the Observer. The breakout pop star continues her live ascent with a completely sold out UK tour and US tour, also performing at Coachella. BBC Sound Of 2018 winner and the most exceptional breakout star of the last year Sigrid, releases ‘Raw’, the first in a collection of brand new material, set to drop every week. The last few months have been remarkable for the Norwegian pop sensation. From a blisteringly beautiful Nobel Peace Prize performance, moving Helen Mirren on the Graham Norton Show, to reaching the top 10 in the UK charts with A-list single ‘Strangers’. Sigrid now has a global reach of 185M streams and 2M sales with the mood-defining Don’t Kill My Vibe EP and brutally honest ‘Strangers’. The 21-year-old has won over fans in every territory with her incredible live performance, defiant pop songs and non-conformist attitude to femininity. Just returning from a momentous tour in Australia and storming the stage at Shepherds Bush Empire last night, Sigrid begins her UK tour, selling out every show date. 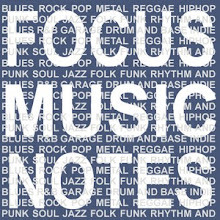 John Newman, owner of one of the most distinctive voices, writer and performer of some of the biggest anthems including 3 number 1 singles - Feel The Love, Love Me Again & Blame, and one of the major breakthrough artists in the UK in recent years, marks his very welcome return with the release of his brand new single “Fire In Me”. Released on Island Records, “Fire In Me”, co-produced by John and Mark Ralph (Clean Bandit, Jax Jones, Alma), finds Yorkshire’s finest doing what he does best, belting out a bona fide banger that is guaranteed to light up dancefloors and airwaves for months to come. Lyrically the song sees John reclaiming the spotlight and reminding his fans that he’s back bigger, stronger and making those classic pop anthems that elevate the form and uplift the soul. Following the release of 2015’s acclaimed “Revolve” album, which was the follow-up to his platinum selling no. 1 debut album “Tribute”, John took a well-earned break to take stock, recover from a health issue and re-examine what it was he wanted to say and how he would say it. “Revolve” was largely recorded in Los Angeles where Newman had been spending a lot of time, including a headlining performance at Coachella alongside friend and collaborator Calvin Harris (& Rihanna) where they performed their number 1 hit “Blame”. It was the global no. 1 smash ”Love Me Again” and subsequent debut album, “Tribute” which also spawned the huge hit single “Come & Get It”, that established the Yorkshire-man as one of the UK’s most singular talents and consistently successful artists. Global monster “Blame”, which sold over 4 million worldwide, gave John his third UK no. 1 single following Rudimental’s “Feel The Love” and his own chart-topping debut ”Love Me Again”. Indeed Newman has sold over 6 million singles world-wide to date. John has also found time to record and feature alongside Sigala and the legendary Nile Rodgers on the massive hit “Give Me Your Love” and remains very much in demand as a songwriter having penned singles for Paloma Faith, Kungs, & Jacob Banks to name but a few. Last week, Flyte performed to a packed Heath Street Baptist Church, using string quartet accompaniment to reimagine their critically acclaimed debut album ‘The Loved Ones’. Reminiscent of an MTV unplugged session, the night further established their reputation as a remarkable live experience. Having reached the end of seven months of touring, the band took a break on the Isle of Wight, to write and produce two completely new songs. The result was ‘Moon Unit’ - a nod to Frank Zappa’s daughter and an ode to the songs their parents would listen to on cassette during long drives- and ‘Victory Girls’ - a simple, melodic piece, which crosses history both lyrically and stylistically. The two tracks are produced and mixed by longtime friend and collaborator, Burke Reid (Courtney Barnett). Flyte began to form when Will Taylor (vocals, guitar) and Jon Supran (drums, vocals) started playing together age 11 at their local comprehensive school. Later Nick Hill (bass, vocals) joined and finally Sam Berridge (keys, vocals) who they discovered singing down in the London Underground. Will’s parents were both English teachers and unavoidably, many a literary influence can be found in the music with the band taking its name from Sebastian Flyte of Evelyn Waugh's Brideshead Revisited. After a video of Will and Sam covering Joni Mitchell's took in millions of views and following the band's highly successful monthly night at the Moth Club in Hackney, the band signed a deal with Island Records. In Autumn 2017, the band released their debut album The Loved Ones to acclaim. They have since been touring the UK and Europe extensively, with a headline sold-out show at Scala, and tour supports with the likes of The Lemon Twigs and Lord Huron. 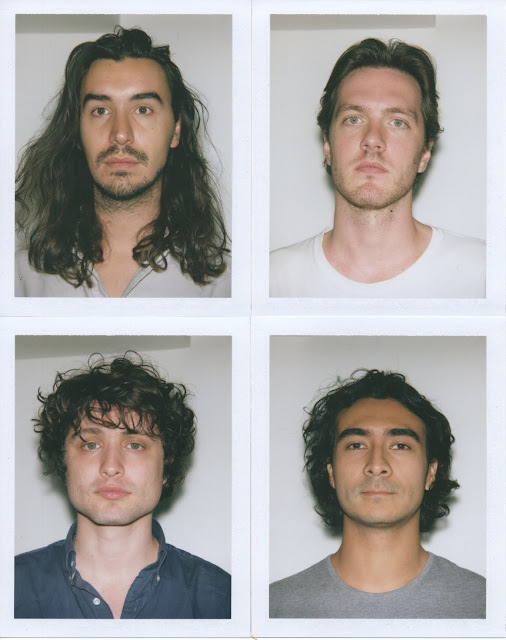 Now Flyte travel to America for the first time, taking their road-trip-worthy catalogue to SXSW, New York and LA. Following on from global hits 'Alone' and 'Vaadi', British singer, songwriter and producer Arjun released his much-anticipated debut album 'Closer To Home', on 2nd March via Island Records/Universal. Effortlessly straddling two cultures, Arjun's first LP showcases his versatile talent as a very modern triple-threat as he bridges the gap between his two worlds, seamlessly marrying R&B and trap with his South Asian roots. Arjun says, "Collaborating with a talented team of creatives, including my mentor Sway, we have put together an album that instinctively fuses contemporary Pop/R&B melodies, big bass drops and ethno-infused sounds from the subcontinent, which we hope will resonate with music fans around the world.". Since signing to Island Records via their Dcypha Productions imprint, Arjun has been developing a unique, contemporary sound true to his mixed musical influences. Initially spotted by legendary UK rapper Sway, Arjun is one of the most exciting musical prospects to emerge from the UK. With a global fan following and having toured the world over, Arjun boasts over 450 million YouTube views and 1.5 million Facebook fans and appeals to an ever-growing international audience. M.I.L.K. 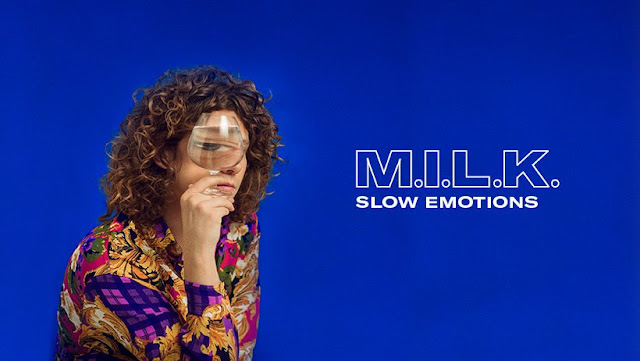 releases his new single "Slow Emotions "
Following his online hype single "If We Want To" (+2.5M streams) and debut EP "Memory of a Postcard" last year (+6M streams), Danish indie-pop artist M.I.L.K. is back with new track 'Slow Emotions'. With its summery vibes, 'Slow Emotions' is resolutely more pop while retaining M.I.L.K. 's captivating singularity and unique voice, giving a taste of what's to come ahead of the release of his second EP this April.